You must be a member of the Seville City Trotters Group to attend this activity. Would you like to join this group? 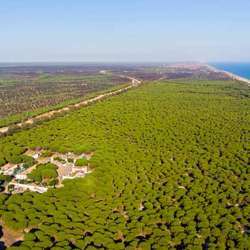 How about a guided tour to our close by Doñana National Park? This will be a guided tour in both English and Spanish, in which we'll be driven around the park to see its natural beauty. The tour lasts 3.5 to 4h, and the tour starts at 8:00 am . This means we'll need to be there early enough not to miss it. For the ones who wish, we'll have an optional lunch in Rocio afterwards. Please join and bring your friends! Ask them to sign-up for Internations and join this activity.